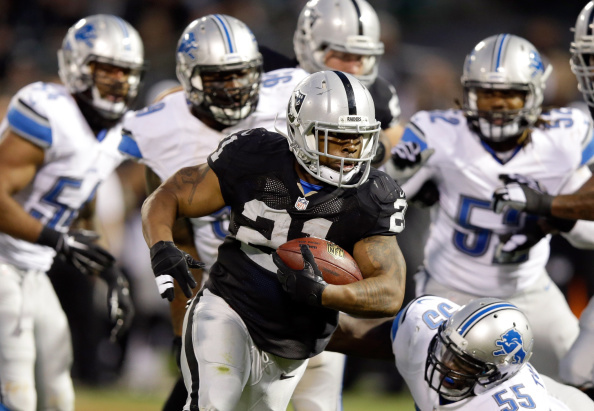 The first thing you need to know about MJD is the reason he wore jersey number 32. His competitiveness and passion for the game made him choose the number 32 because all 32 teams passed on him in the first round of the 2006 draft. MJD started his career with a chip on his shoulder and that’s how he ran the ball, with an edge and toughness that was difficult for defenders to bring down. Drafted by the Jacksonville Jaguars to spell the face of the franchise Fred Taylor, MJD started as a kick returner and eventually became a third down back behind Taylor. The 5’7 210 pound bowling ball showed the NFL he was a force to be reckoned with in his rookie season by rushing for 166 yards against the Colts in week 14 totaling 303 all-purpose yards, which included a 93 yard kickoff return for a TD. He finished his first year with a 5.7 yards per carry average and had the third most all-purpose yards of any rookie in the history of the NFL. After an amazing rookie season, Jones-Drew teamed with Taylor to make by all accounts the first great dynamic duo backfield of its era and revolutionized the NFL. With the success of a committee and equal share in the backfield this trend took off for many NFL franchises. Thunder and Lightning was in full effect for the first three years of MJD’s career as he became one of the most feared backs in the league with his disregard for defenders and his love for contact while still being able to put on the burners in the open field. MJD’s best stretch of football started with the departure of Fred Taylor before the 2009 season in which MJD became the bell cow for the Jaguars. From 2009-2011 MJD was arguably the best running back in football totaling 4321 yards on the ground and 28 TDs to go along with 129 catches out of the backfield. Not only was MJD a terrific ball carrier but he also possessed great hands out of the backfield making him one of the top dual threats of his generation. 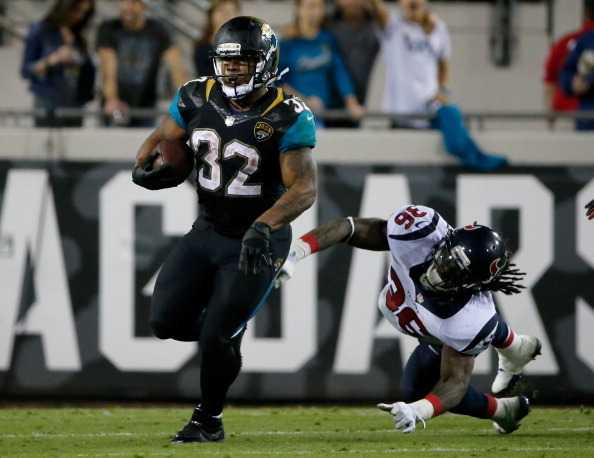 After nine seasons in the league Maurice Jones-Drew has left a legacy as one of the most unique backs in NFL history with his short 5’7 height but wide load, a true tank. He will go down as one of the best players in Jaguars’ history and a fan favorite of Duval County. He finishes his career with 11,111 rushing-receiving yards and 79 touchdowns with 4.42 yards per carry.